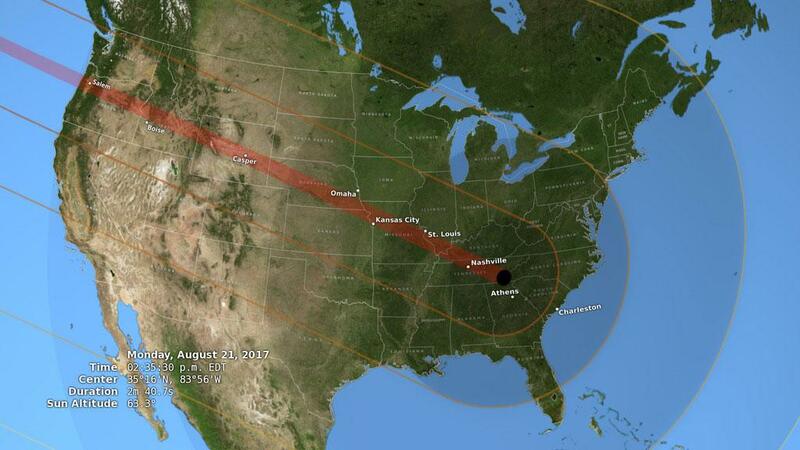 In August, the United States will see its first total solar eclipse since 1972. The catch is that it won’t be visible everywhere in the country. While some people plan to travel to idyllic viewing spots in the central part of the country, others will be able to see it right where they are. What can you expect to be able to see, if anything? A simulator for the eclipse created by Google and the University of California Berkeley can show you the exact timeline and amount of eclipse you’ll be able to see wherever you are come Aug. 21. The simulator is simple. Just put in your town or city and state in the United States and the simulator will show you a timeline of the day's events and a mock-up of the movements of the sun and moon. The eclipse is mapped to bisect the country so unless you’re directly on the path its unlikely you’ll see much of the event. An eclipse happens when any object moves into the shadow of another, NASA says. For example the Earth can eclipse the moon or the moon can eclipse the sun. 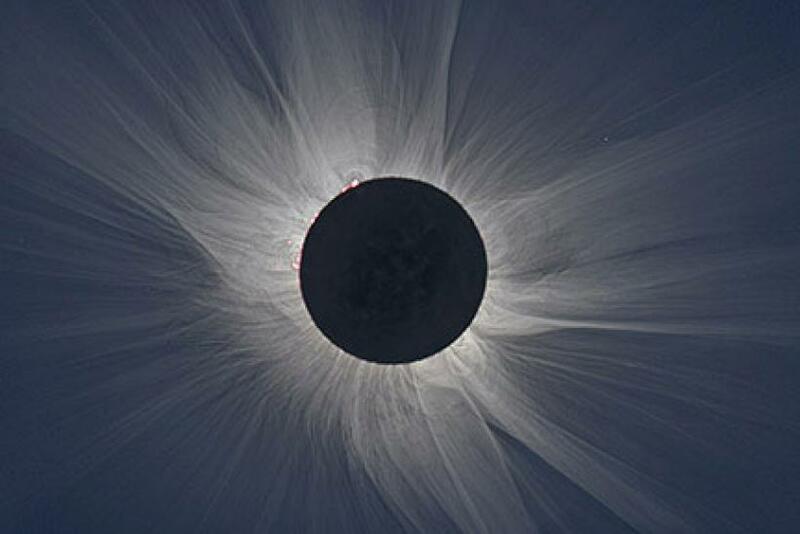 A total solar eclipse means the moon has traveled directly between the Earth and the sun, and blocks the light from the sun from directly traveling to Earth. A total solar eclipse occurs when the moon blocks all of the sun's light and the Earth, moon and sun are in a straight line. A partial solar eclipse occurs when they are not perfectly aligned. And an annular eclipse means the moon is at its farthest point from Earth and it seems smaller and does not block the sun entirely. To see a solar eclipse you’ll need to stand directly in the umbra, or the dark center of the moon’s shadow, this gets smaller as it reaches Earth. If you’re in the penumbra, the second shadow of the moon that gets larger as it gets closer to Earth, you’ll only see a partial eclipse. But remember to never look directly at the sun or the eclipse, it can damage your eyesight. To use the eclipse simulator, go to its website and either put your city or town and state into the search, or select the map to the right of it and find your location. Selecting the magnifying glass icon to the right of the map will change the view to show you either only the sun or the sun and some surroundings on Earth once you start the simulator. Once you have your location and perspective selected, hit the play button along the bottom to see the track the sun will take and how much of the moon will be covered throughout the day. If you’d like to speed up the simulation, select the 1000x next to the time stamp, and change it to 4000x, you can always change it back. You can also click and drag the circle that tracks time on the slider or jump ahead or back by 20 seconds by selecting the “20” icon in the clock on the left. This should give you a good idea of when you’ll be most in the shade of the eclipse.